The Super Bowl just came and went. Who one? The Empire? Yeah. Well at lest the microbrews I drank while watching the Super Bowl commericals was good. As a Marvel fan one commercial I was waiting for was the one for Captain Marvel. A lbit of teasing of Captain Marvel is in order and before the entire internet attacks me let me state that I am going to see the Captain Marvel movie. Don't you worry. I also believe the film will be another smashing success for Marvel. That said I don't think the creation and roll out of this movie has been perfect. The errors with that roll out were on display with the Super Bowl ad which should have been HUGE. I showed my daughter the Captain Marvel commercial after the Super Bowl yesterday. I expected an "Ooooo ahhhh I want to see that Daddy." Something like how she reacted to Wonder Woman when it came out. The reality was that my daughter was like oh OK. She was basically like "meh". I thought about it and realized Disney is really falling for the trap of, "If we make a female character super powerful girls will love her". This is actually not the case. What makes a character intriguing is often their flaws and weaknesses. This is just as true with male characters. Superman is the most powerful character there is but honestly he puts me to sleep. Who cares how powerful he is, give me Batman anyday. Apparently, my daughter agrees with me. 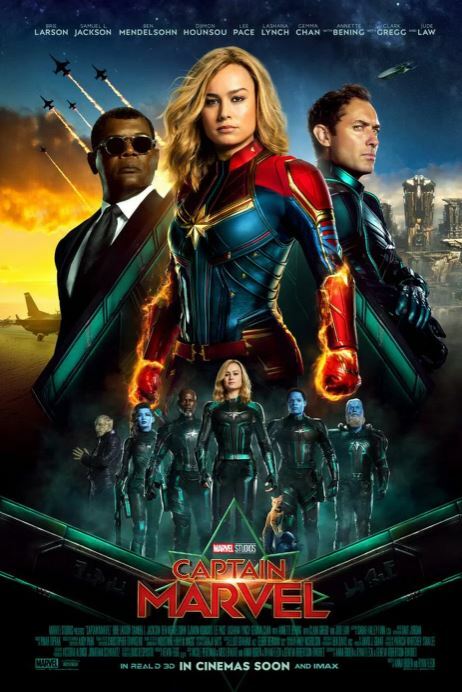 Here is the latest Captain Marvel commercial that aired with the Superbowl. See it for yourself. Lots and lots, lots of CGI fireballs. I don't think the meh attitude is the fault of Brie Larson. In terms of Carol Danvers and Captain Marvel she has always been powerful but bland. Carol is in the airforce and has a lot of power. That is about it. In some sense this is because she was literally created to simply keep the license for Ms Marvel alive for Marvel. She has had some historical importance as you would expect for a character that has been around for awhile but she has never really set the world on fire. Some people will now claim to be Captain Marvel fans but if one runs into you, ask them, "What is your favorite Carol Danvers story?" Most will look at you like uhhhhhhh. Its not that she is powerful. Its not that she is a female its just that she is just mising something to give her added depth. Here is a list o Marvel f female characters I find more interesting that Carol.......Moondragon, Aleta, Mystique, The Invisible Woman, Rogue, Jean Grey, Storm, Black Widow (All versions), Gamora, Nebula, heck just about all of them. I even think Doctor Minerva who will be in the film is more insteresting than Carol. 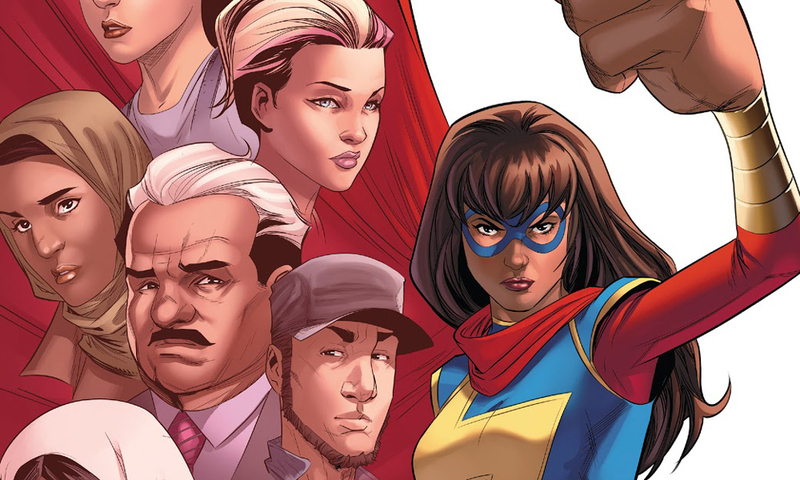 Not only that Carol is not the best Ms Marvel, the Kamala Khan version is way better. Kamala Khan has a cool powerset, interesting backstory, great set of supporting characters is different with her own voice and flaws. Basically Kamala has all the things that Carol does not. Marvel though did make some good decisions with this film. Notably they decided to focus and dig deep into the Cosmic Marvel world that has so far only been explored in Guardians of the Galaxy. There is a lot of meat there and they went right for a juicy spot with the Kree and Skrull war. Attaching that highly colorful and interesting part of Marvel history was a very smart move. While Carol might not be interesting, all the stuff she is surrounded by is. 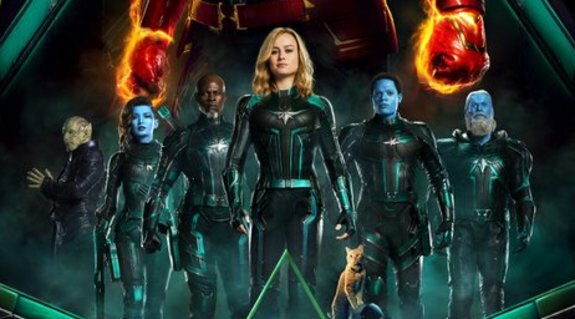 Marvel seems to be coming around to this line of thinking because in their newest poster for the film in front and center is now the Star Force. The Star Force is a group of super powered Kree warriors who look crazy awesome. So far in the trailers they have been in the background but if this poster is any indication I expect them to be pushed forward.. Why? Because unlike Carol people will find the Star Force interesting. I expect Doctor Minerva the other female in the Star Force played by Crazy Rich Asians star Gamma Chan (She played Astrid) to be the character that really explodes in popularity following the film. Just watch and wait. People will come out talking about the blue lady sniper and the cat. Just wait, it will happen. Star Force in the front! My other recommendation for Marvel is to highlight the Skrulls more. They are some of the most devious and frightening villains in the Marvel universe but so far their highlight is getting punched as an old lady. The Skrulls should be colorful, powerful and terrifying. Talos the head Skrull character in the film should be given time to shine, he is a Skrull with a great back story. Hopefully, the film gives the Skrulls their due and they are not simply throw away props like Malekith was. I am sorry Marvel but people are not going to see this movie for Carol, they are going to see it inspite of her. She is not Wonder Woman. People don't care how powerful she is, they want interesting characters over powerful ones. So instead of highlighting Carol start giving us the other characters give us the Star Force! Also make a Kamala Khan Ms Marvel movie! That would be amaze balls!